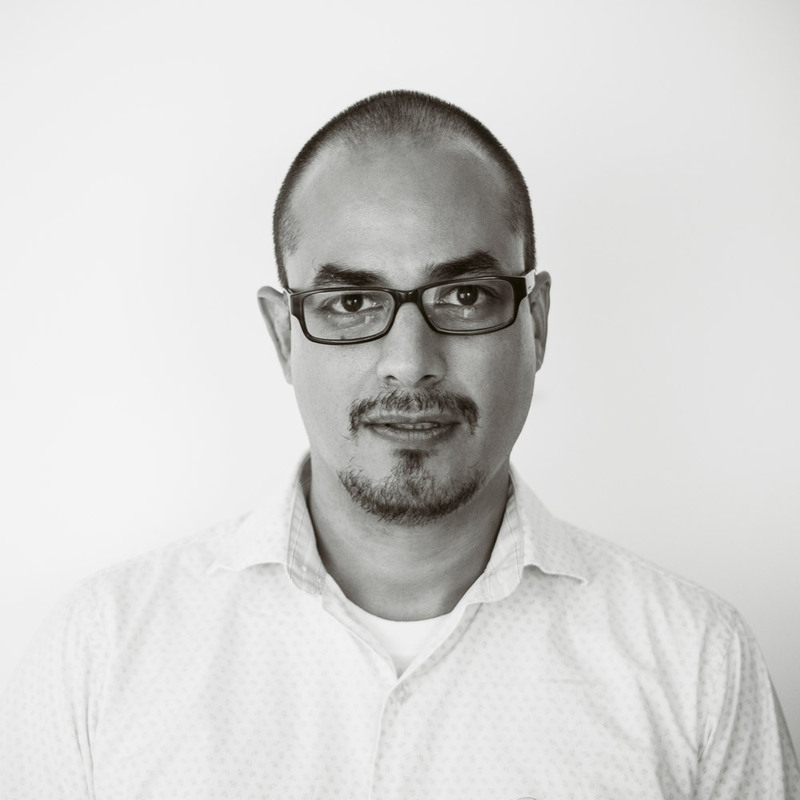 A fan of docuseries and an eccentric food lover who is always in search of coexisting with Mother Nature. 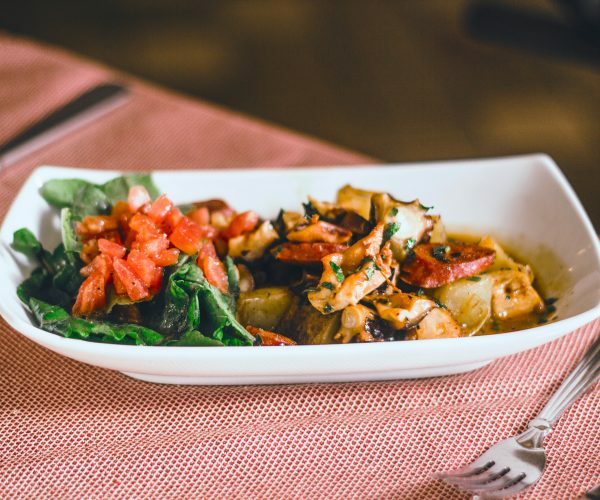 To talk about Vitea Oceanfront Bistro is to talk about an excellent combination of fresh, healthy and exquisite dishes, all in a privileged location in front of the sea. 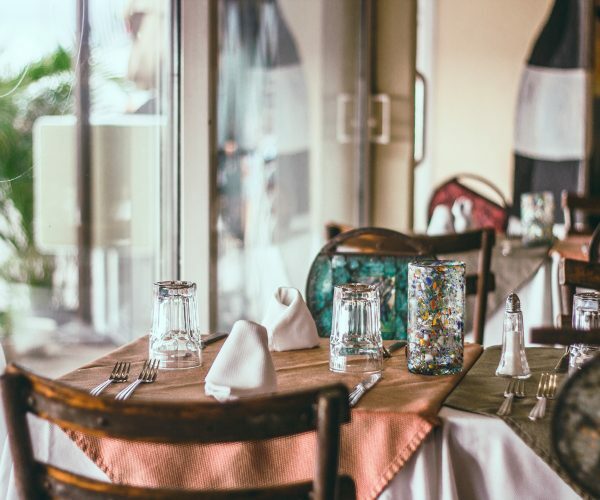 The setting of this restaurant is relaxed featuring colorful tables and chairs with elegant details in mosaic glass, as well as the panoramic views toward the Malecón, at the threshold of Banderas Bay. With a seating capacity of 120 diners distributed in the outdoor terrace and the air-conditioned area, where there is a wine cellar with more than 200 labels from around the world, Vitea Oceanfront Bistro is an artistic Art Deco, casual restaurant opened in 2004 by chefs and owners Bernhard Güth and Ulf Henriksson, who had previously inaugurated the now iconic Trio restaurant in 2001. 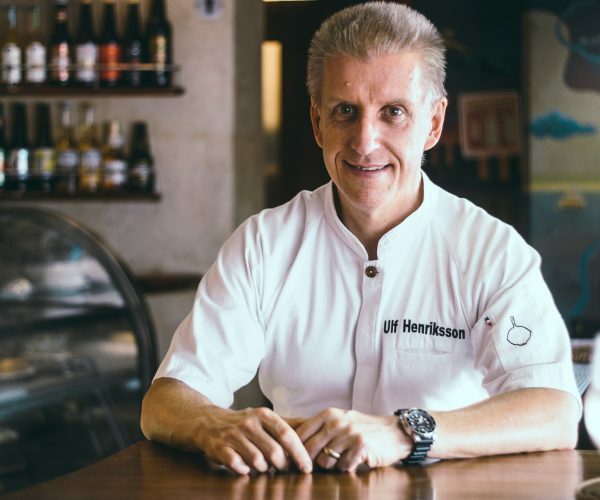 During our visit to the restaurant Vitea in Puerto Vallarta, our host, the Swedish chef Ulf Henriksson, prepared us a very European dinner, with a distinguished Mexican touch. 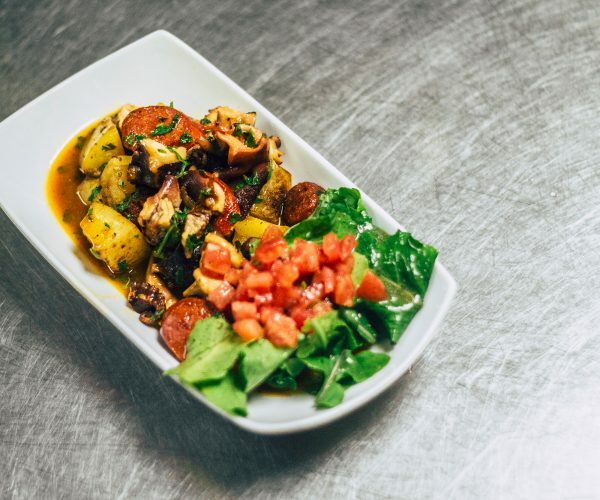 As an appetizer, he offered us the Octopus with Chorizo and Potato, whose preparation consisted in pouring these ingredients into a frying pan until reaching the exact cooking point to be served later. 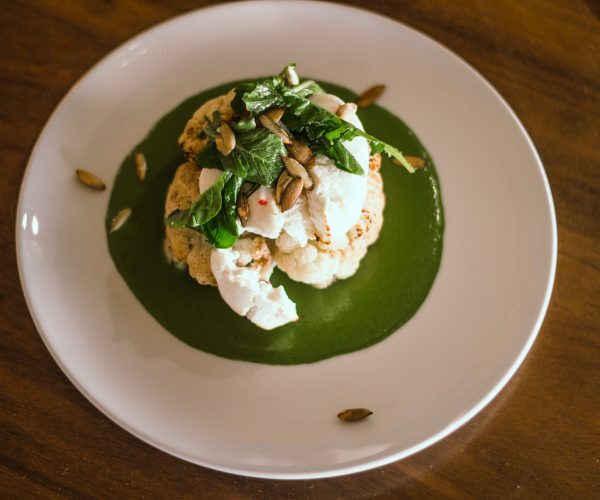 As the main dish, Henriksson chose the Cauliflower-Goat Cheese Gratin, one of the most popular specialties of his restaurant, which is served on Poblano chile and spinach mirror sauce. To pair this magnificent dish, the chef recommended white wine. Besides offering specials very often, throughout the month of September 2018, Vitea Oceanfront Bistro pampers couples with a slice of their signature Chocolate and Kahlúa Cake after the dinner. 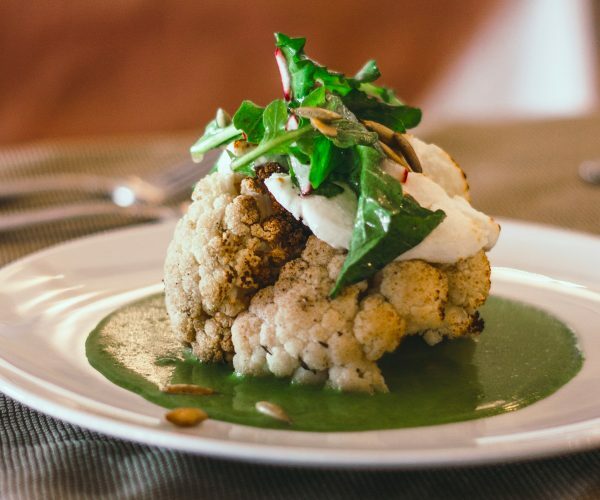 After a visit to the different attractions of El Centro, Vitea Oceanfront Bistro is an excellent option to end up the evening by enjoying some of its unique specialties.